Branching Streams organizes a meeting of affiliates approximately every eighteen months. This meeting is a wonderful opportunity for us to practice together, have informal contact with each other, learn from each other, and be inspired by each other. 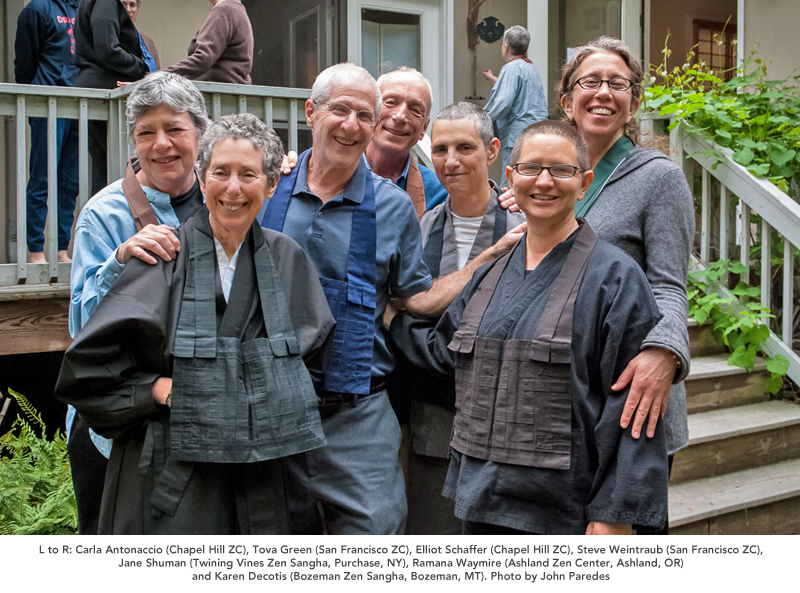 Two recent meetings have been held at Houston Zen Center (in August 2012) and at San Francisco Zen Center (in September 2013). How do we deepen our practice in a lay setting? In what ways are zazen and other activities in tension? How do we support couples (where one person might be a practitioner and the other is not), and families; and how do we integrate children of practitioners into our Centers? What is our Center’s role in the wider community — local, national and international? What is the place of social activism? What practices and programs best promote a diverse community and serve the needs of a diverse community? The planning committee for the 2015 meeting. Photo by John Parades. Click photo for larger size. 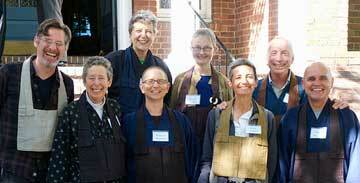 The 2015 meeting of the Branching Streams Affiliate Sanghas network was held in May, and was hosted by Chapel Hill Zen Center in Chapel Hill, North Carolina. 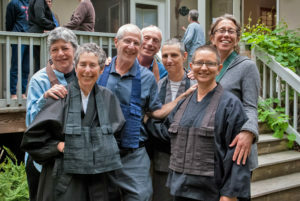 The overarching theme of the meeting was “Suzuki Roshi’s ‘independency’: sharing the roots and coming into our own.” For a full report of this meeting, click here. If you would like more information about Branching Streams meetings, please contact Steve Weintraub.